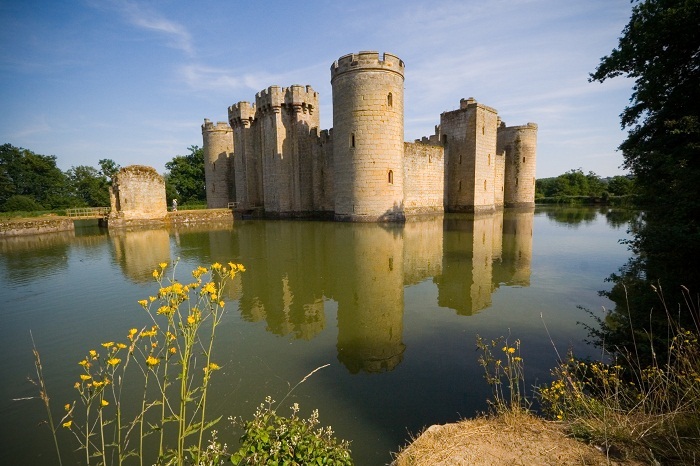 Bodiam Castle is a moated castle that dates back to the 14th century, located near the village of Robertsbridge in East Sussex, the United Kingdom. Set in the heart of an historic landscape, with spiral staircases, battlements and a portcullis, Bodiam Castle was built in 1385 by Sir Edward Dalyngrigge, a former knight of Edward III, with the permission of Richard II, ostensibly to defend the area against French invasion during the Hundred Years’ War. 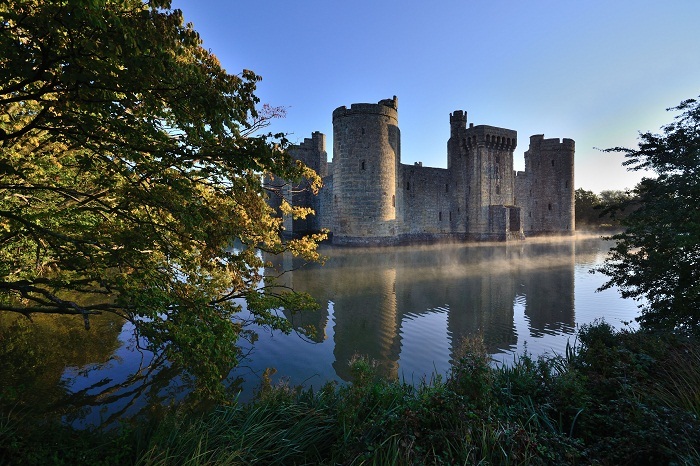 As one of Britain’s most picturesque and romantic ancient monuments, it is a quadrangular castle, with a roughly square-shape. 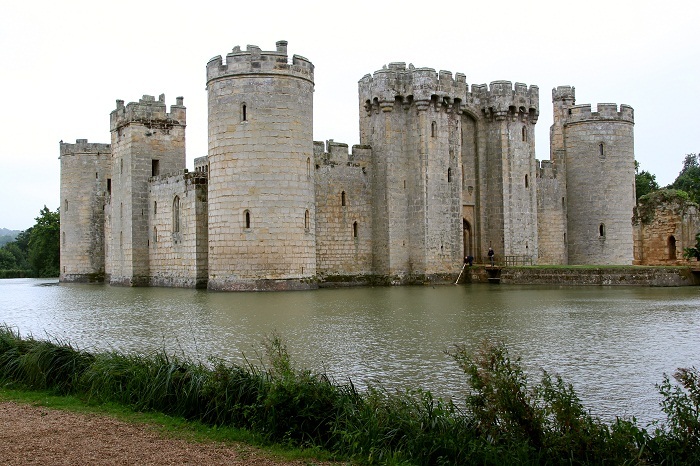 This type of castle, with a central courtyard and buildings against the curtain wall, was characteristic of castle architecture in the 14th century. 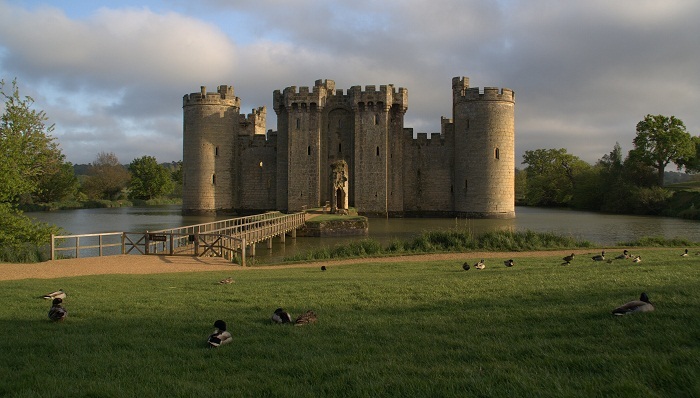 Bodiam Castle has been described by military historian Cathcart King as the most complete surviving example of a quadrangular castle. Windows where arrows were once shot, a tower that was once a look-out and ruins that were once walked upon by knights, there are circular towers at each of the four corners, with square central towers in the south, east, and west walls. 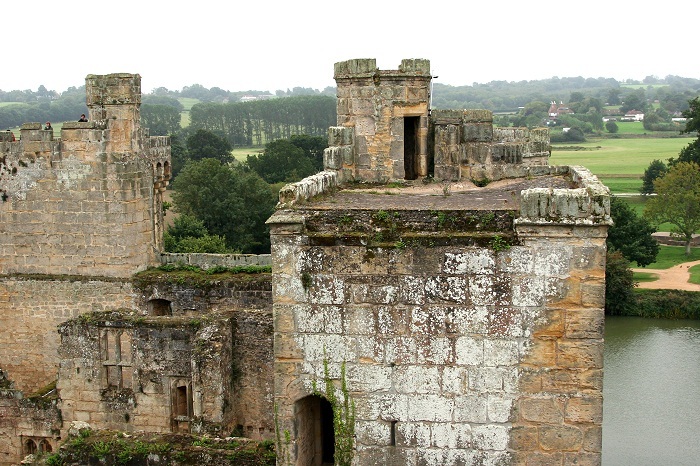 The main entrance is a twin-towered gatehouse in the north face of the castle. 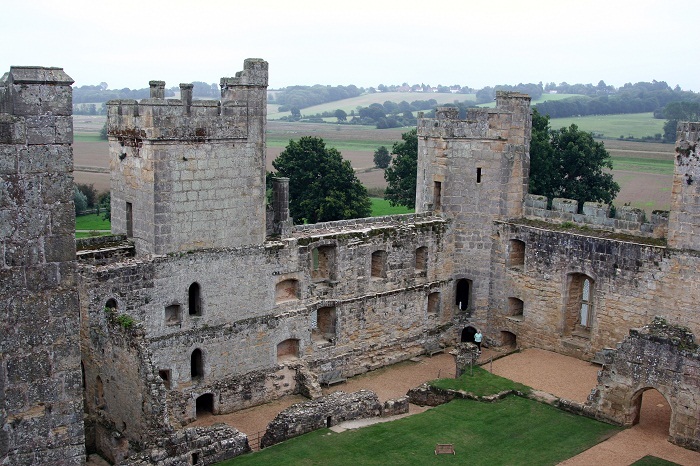 There is a second entrance from the south which goes through a square tower in the middle of the south wall. 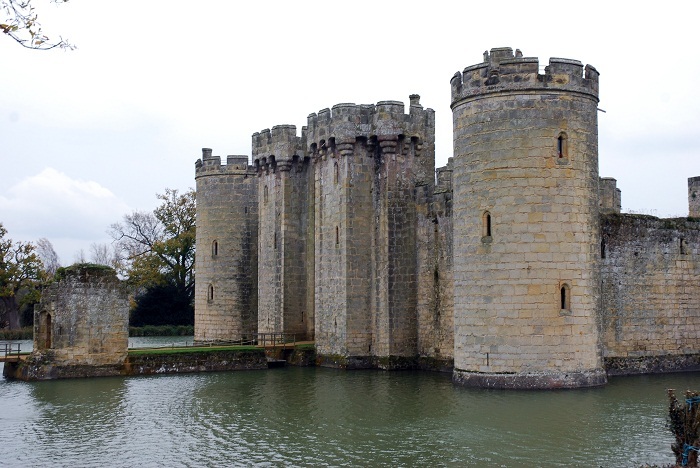 Although the exterior of Bodiam Castle has largely survived, the interior is ruinous. 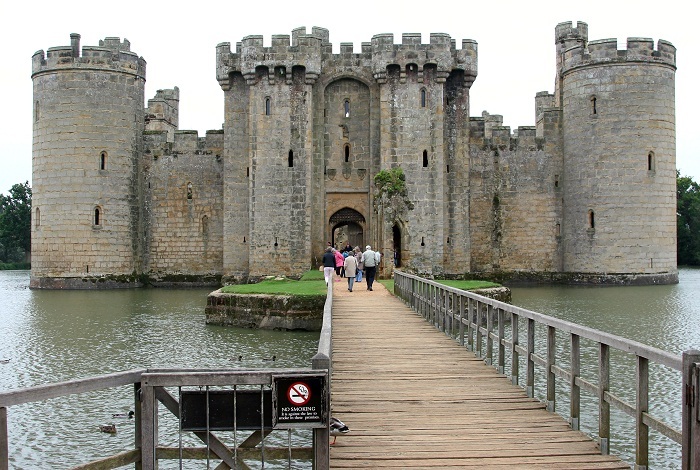 In the impressive gatehouse is the castle’s original wooden portcullis, an extremely rare example of its kind. 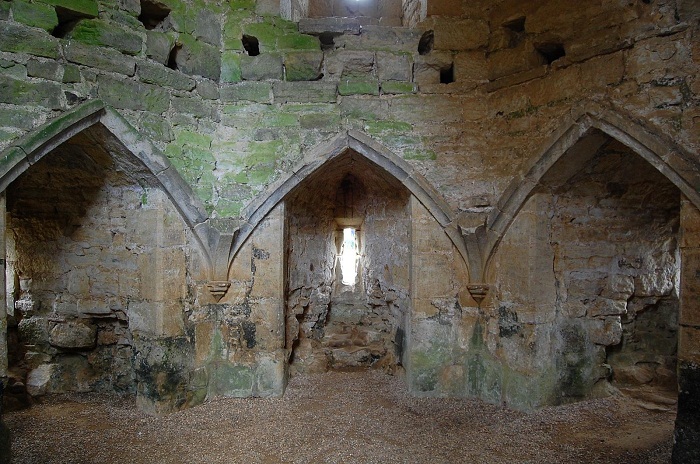 Enough of the interior ruins survive to give an impression of castle life and gruesome and surprising tales can often be heard from our brewster, forester and other colourful characters from the past. 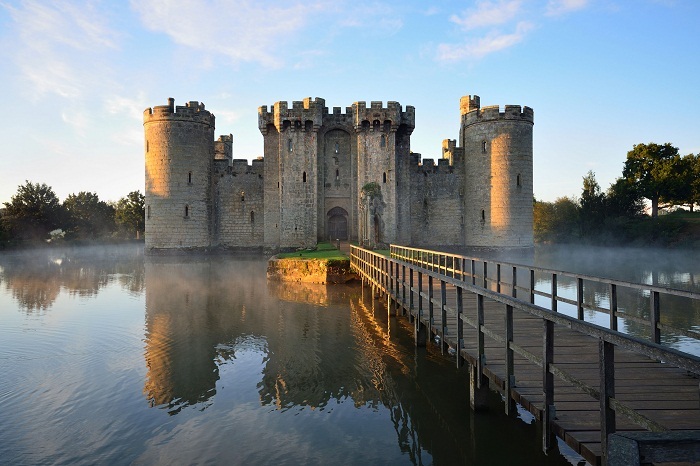 The castle is protected as a Grade I listed building and Scheduled Monument, and at the moment it has been owned by The National Trust since 1925, when it was donated by Lord Curzon on his death. Open to the public, it can offer people reliving of their childhood memories, and making their imagination run riot.